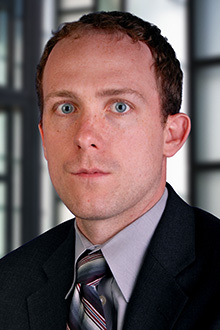 Kevin Zimmerman is a partner in the New York and Connecticut offices of Lewis Brisbois and a member of the General Liability Practice. His practice in New York focuses on various matters in the field of general liability including New York Labor Law, premises liability, trucking cases, other motor vehicles cases and Dram Shop actions. He has extensive experience with respect to these matters in both state and federal court in New York. With respect to New York Labor Law defense, he represents property owners and contractors in Labor Law construction with respect to bodily injury claims brought under New York Labor Law Sections 200, 240 and 241, including indemnity issues and potential third party actions. In Connecticut, his practice focuses primarily on the defense of general liability, including transportation, trip/slip and fall, premises cases and dram shop litigation in Connecticut state and federal courts.